There are many problems that come with wearing dentures. 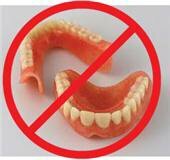 Dentures are not a replacement of teeth, they are a replacement of no teeth!! They are uncomfortable, they move, food tastes funny, I don’t like the plastic bulk and they don’t chew very well. Did I mention they move? That is the biggest denture complaint that I hear at my office. So, what is the solution? Many patients use massive amounts of denture adhesive. Sometimes it works, sometimes it doesn’t. Have you ever desired for a PERMANENT solution to denture problems? Well, now there is! Dental implants can change your life if you are stuck wearing old fashioned dentures! There is a dental implant solution for almost every budget. 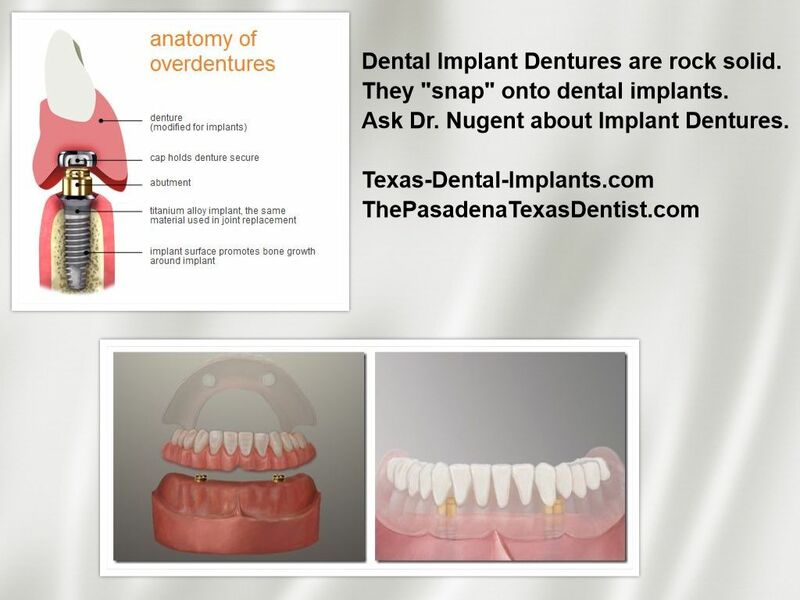 You can have implant dentures that are secure and don’t move. Another options is to replace most of your teeth for a fixed bridge that attaches permanently to implants so you don’t ever have to “take out” your teeth. Apples, fresh vegetables, corn on the cob, ribs, steak… Whatever you like to eat you can eat again like you used to with dental implants. Our office has many different implant solutions to offer. Come see us at 3421 Burke Rd Ste A, Pasadena, Texas 77504 to see how we change lives.